July has been rolling by and I haven’t had time to stop by for many updates. Unlike months prior, our weeks have been busier than our weekends lately and I can’t complain about that one bit. 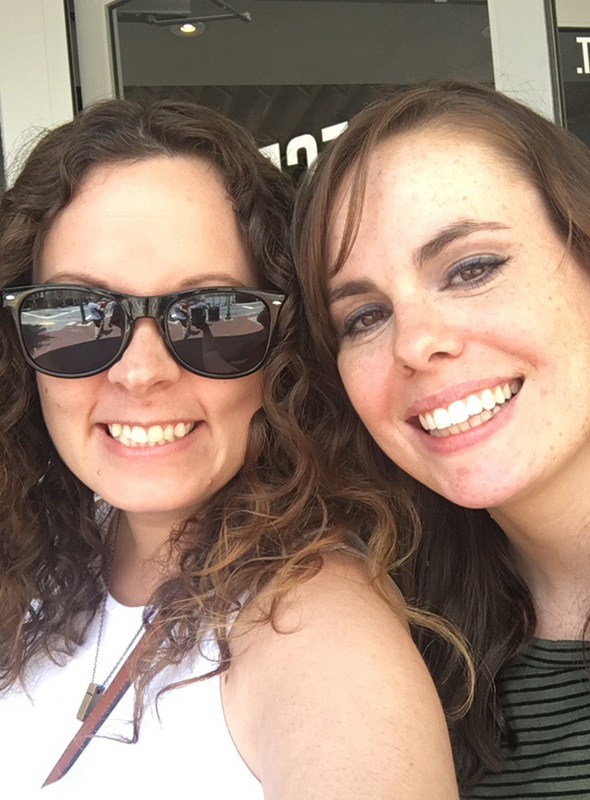 I wanted to go back and share some of the fun things that have been going on in my life this month. After months of constant back-and-forth trips to Roanoke for different occasions, we finished our streak with one last throwdown with friends for Independence Day. 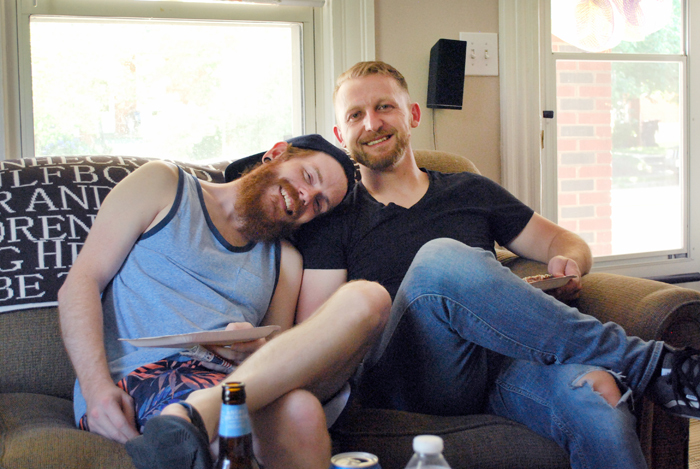 Tom and Janel hosted a cookout at their house, potluck style, and we all came together for a great time, great food, and some time splashing around in the Roanoke River. 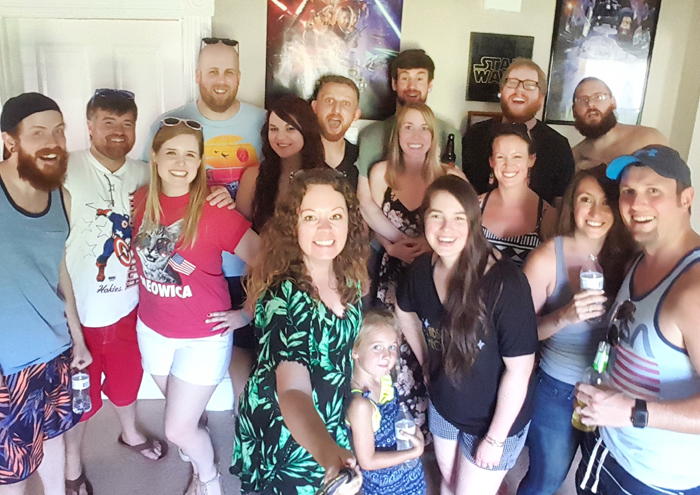 It had been a really long time since we’d gotten this much of our friend group together; only a few out-of-state and a couple of local friends weren’t there to celebrate the day with us. Even Dan’s best friend Caleb and his fiancé made it down from Michigan. I was beaming all day. Nothing makes me happier than being with my people. That weekend was also Dan’s birthday weekend (June 30) so we celebrated that with his family on Sunday by all gathering at a local Mexican restaurant. Dan loves for his birthday to be very low-key, so I think we accomplished that. I started sharing about this here and had so many funny things to share that I decided to draft a separate post. Keep an eye out for this story next week. Laughing at yourself is good for the soul. 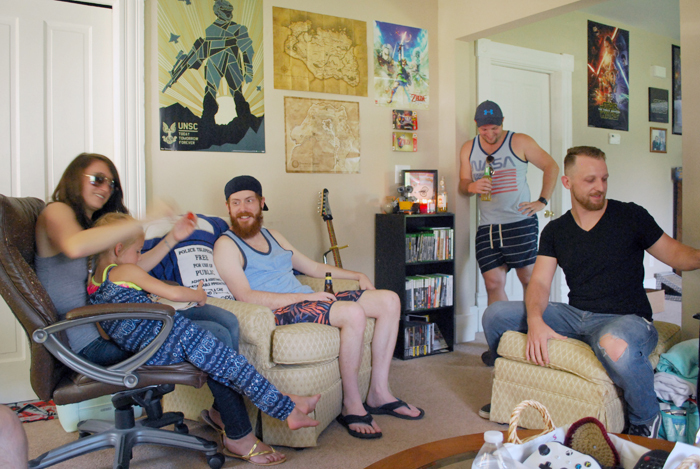 In all of our time living near family, Dan’s cousins had never come and spent a weekend with us the way my cousins frequently do. We changed that recently when they came not only for a weekend, but for six entire days. While Dan had to work some of those days, I was left trying to figure out how to entertain Ian (19) and Nicholas (15) by myself. 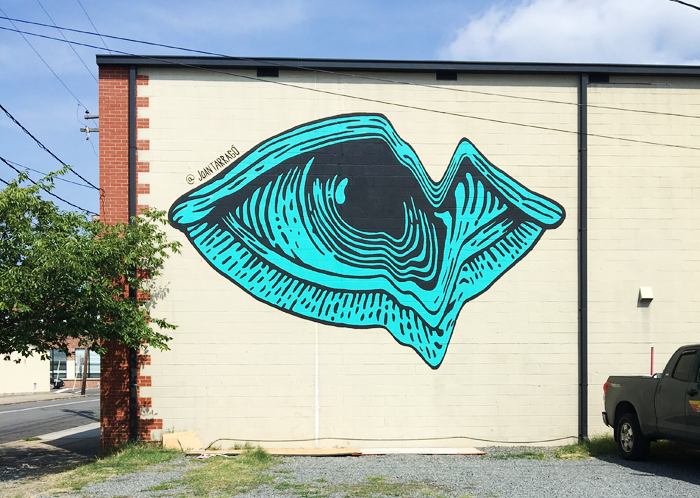 We explored a lot of Richmond, starting with walking along the Canal Walk by our old apartment to Brown’s Island and across the new T Tyler Potterfield Pedestrian Bridge, all in the scorching heat. 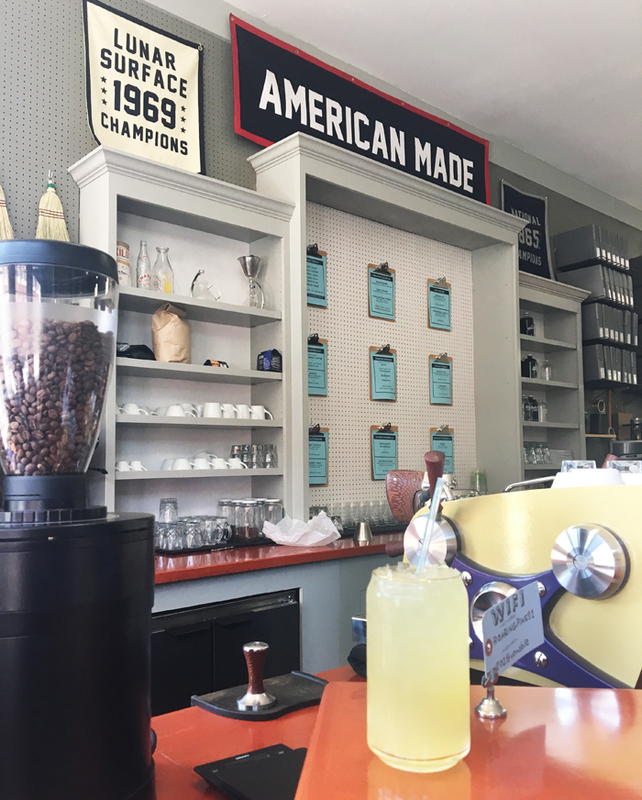 We cooled off with housemade sodas at Roaring Pines, which I highly recommend if you’re in the Richmond area. 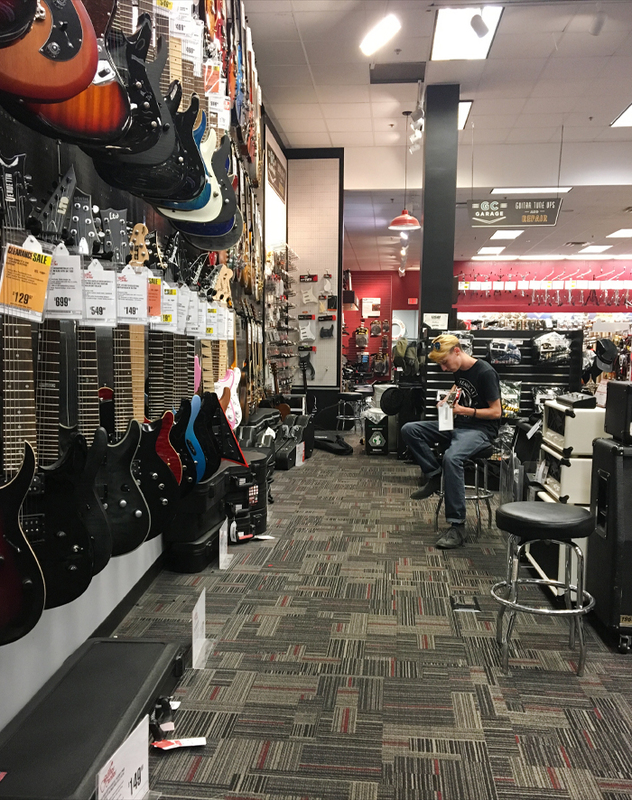 We also spent approximately 3,547 hours touching every musical instrument at both Guitar Center and Sam Ash. 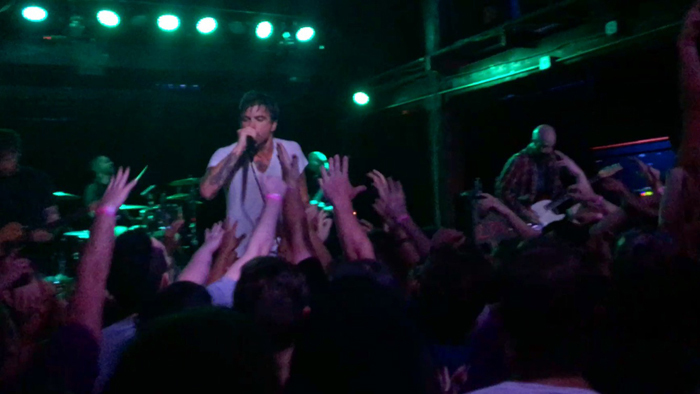 That Sunday night we all went to see Circa Survive at the Canal Club. They’re on tour with AFI and Citizen but added in a few headlining shows (no AFI) throughout, which made me really happy. I’ll never complain about seeing Circa twice in one year! This also happened to be the boys’ first concert ever, and we couldn’t have picked a better show to introduce them to being up close and personal with live music. Shows at the Canal Club are always wild and this one was no exception. You can see footage from the show in this video starting around the 8:50 mark. 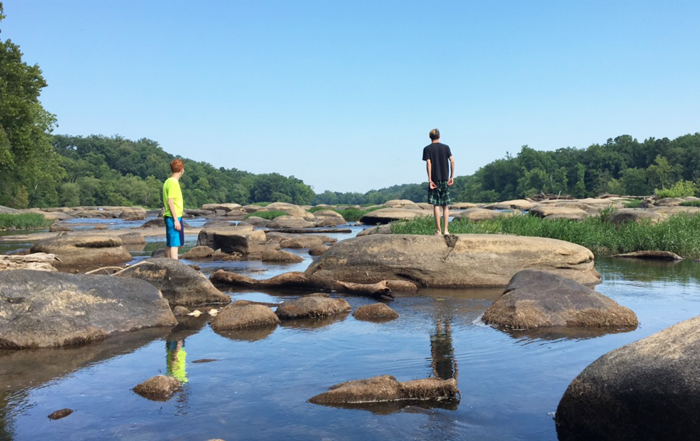 Their last day here, I took the boys out to the James River for a while. Hanging out on the river is a Richmond tradition and is something I should spend more time doing myself. It hadn’t rained for quite a while, so we were able to hop from rock to rock and wade in knee-deep water pretty far out. Next time I’m taking a tube of some kind so I can float. My college roommate Lyndsi and her husband and son stopped through and met us for lunch on their way to Williamsburg. It’s always great to catch up with her and it doesn’t happen enough. Maybe one day we’ll be closer to each other and will be able to get together more often. Last Saturday Daniel and I took an intermediate screenprinting class at Studio Two Three. This was a second class there for me after taking the intro class there with my friend Carly last year. I think we’re both feeling confident enough now to possibly start screenprinting at home, once we have all of the proper equipment. We’ll see! I was so caught up in the class I didn’t take a single photo. There’s no telling what else we’ll get into before the month is over, but even if it’s nothing I can say we’re having a really great summer so far. What a great summer you’ve had! Yay for so much time with people you loveand kudos to you for entertaining the boys on your own! Impressive!!! Screenprinting will be a fun adventure! I think it’s cool that you andDan are learning together. Looking forward to reading what you wrote about thebig cleanout! We have had the best time this year with the people we love! Sometimes I’ll just stop and look around when we’re with our favorite people and go “THIS is why we’re back in Virginia.” They’re irreplaceable. Oh goodness, the big cleanout story will be up next Wednesday haha. I’ve had too much fun with all of that. Your photos are so crisp and clear! 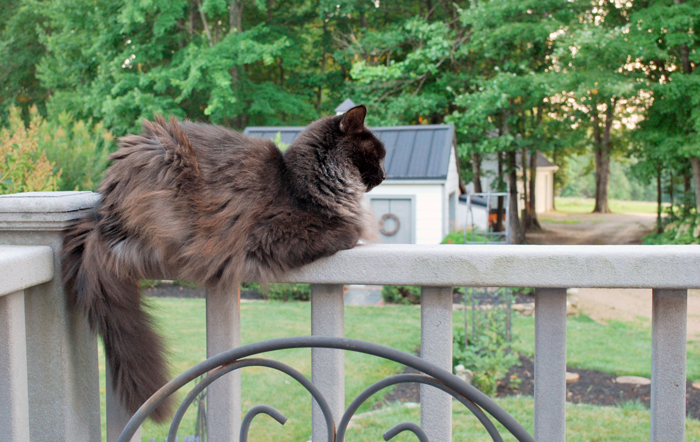 Love that youve had a great summer – and whose precious cat is that. Soooo gorg! Thank you! The kitty is my baby Zoe; I got her as a junior in high school, so she’s turning 13 this August! I left her at home when I went off to college, so she still lives with my parents. My mom is so attached to her, and her to the farm, that I couldn’t imagine uprooting her at this point in her life. We have lots of snuggle time when I visit. Haha what is this fancy hipster place that sells brooms? 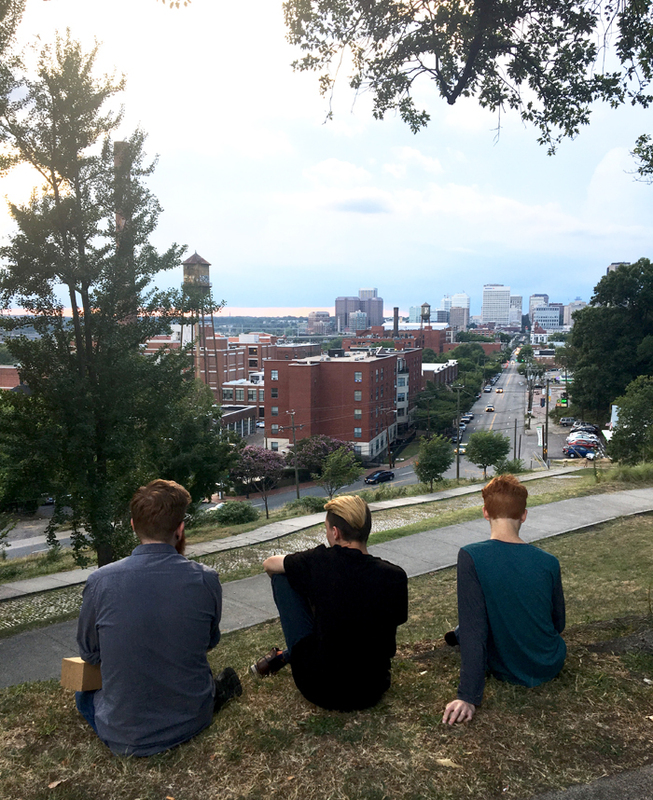 The boys absolutely loved it; they loved all “the hipster places” of Richmond, which is a lot of Richmond. Hope you’re well too! And not melting away. Ahh! I’ve wanted to try out screen printing? How do you like it? Once you stat screen printing at home what products/projects do you think you will do? I love it! I have actually been designing a few things with plans to put them on t-shirts for a while now, but I’ve just been putting it off. It’s a bit intimidating to do something like that all on your own, not to mention buying all of the supplies and hoping you got it right. This class helped us feel a bit more confident and prepared to take it on. You should look for an art studio near you that offers classes like that. Maybe you can find a screen printing class! I agree — it’s so special when a group of friends is able to all get together. I wish I could do it every day. Screenprinting class?! That is absolutely awesome! Sounds like a busy and fun month for you! Enjoy the rest of July. It has been a wonderful month! Yesssss screenprinting…you should look up local artist collectives/workshops/studios and see if they offer classes! I’m anxious to hear about the cleanout story 😉 Have a great weekend friend!